LOS ANGELES--(BUSINESS WIRE)--L.E. Hotels announced the addition of seven member properties to its global collection of independently owned boutique hotels. The newly added properties in New York City, Washington DC, Bogota and Rome will benefit from L.E. Hotels’ services, including a global distribution system, 14 regional sales offices and extensive communication channels—all designed to increase each property’s visibility and revenue. As with all L.E. Hotels’ member properties, the seven new hotel members offer an extensive list of amenities, including state-of-the-art fitness centers, complimentary wireless Internet and top-rated restaurants. Additionally, these properties boast individual character, unique design elements, historical or cultural significance, a distinct sense of place and desirable locations. Situated in Midtown Manhattan, this stylish hotel has an ideal location near the iconic theater district and Time Square. Washington Jefferson has modern furnishings, goose down comforters and spa tubs in its 158 rooms. The boutique hotel dedicates time and energy to ensuring business travelers and tourists alike have a relaxing and productive stay in New York City. Designed in 1903 by the famed New York architect Emery Roth, this landmark building combines classic charm with contemporary comforts. In addition to views of Broadway and the Hudson River, some of the modern conveniences offered in Hotel Belleclaire’s 240 guest rooms and suites include Frette linens and Coffee Bean and Tea Leaf service. Suitable for any traveler, the Upper West Side hotel has a central location near the Lincoln Center and Central Park. Known for combining light and space, all 20 apartment-style suites at the Tivoli Hotel stand out for their functionality. The business suite, the largest suite style offered, has two bedrooms, two bathrooms, living room and social area with a fully equipped kitchen. Located in the residential and service zone of Bogota, Tivoli Suites are within walking distance of restaurants, shops and the largest commercial center in the city. Lugano Suites strives to make all guests feel right at home for the duration of their stay. The décor throughout these spacious suites incorporates both modern and functional furniture. All 36 suites feature a kitchen, full bathroom and wireless Internet. For those guests that don’t feel inclined to cook, the hotel is located on the same street as several of Bogota’s most trendy restaurants. This modern hotel is located in Bogota’s Chico neighborhood, near the headquarters of several national and international businesses. Guests who come to the city for business reasons will enjoy the superior suite, a cozy outer room with a full kitchen, sofa, desk and king sized bed. Classic meets contemporary at the Rose Garden Palace. Located off of Via Veneto, the restored historic building offers 57 double rooms and eight elegant suites. Accommodations range from marble baths to in-room climate controls, giving guests all the comforts of home. 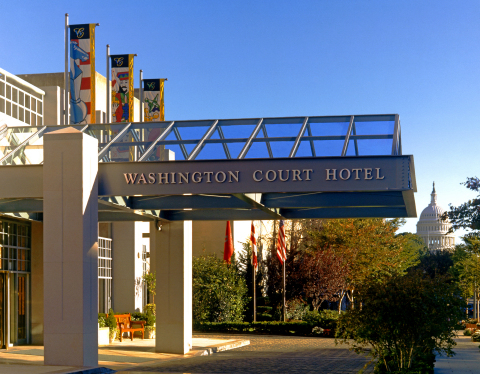 Ideally located in the heart of Washington DC’s Capitol Hill neighborhood, the Washington Court Hotel offers the ultimate in modern design and hospitality. This distinctive location provides easy access to the National Mall, the U.S. Capitol and museums for business travelers, tourists and DC’s elite. The 16-story property features 256 rooms with marble bathrooms, well-lit vanities and even ergonomic workspace areas. The L.E. Hotels collection of properties is a premier hotel group of independently owned and operated hotels in 23 countries. 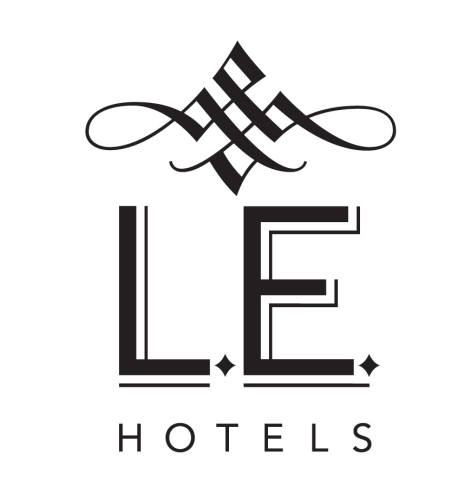 Each hotel in the collection benefits from L.E. Hotels’ undisputed technological advantage and from its 14 international sales offices, which are committed to developing each member property’s internal technology to maximize their business strategies. L.E. Hotels member properties are afforded an extensive variety of the industry’s foremost reservation, sales and marketing services all focused on increasing each properties’ visibility and sales. For more information, visit http://www.lehotels.com. L.E. Hotels announced the addition of seven member properties to its global collection of independently owned boutique hotels.